April 12 The Workshop on Cereal Genomics will be held at CSHL from October 15-21, 2019 and the deadline to apply is August 15. March 11 Congratulations to Dr. Margaret Woodhouse for being selected as MaizeGDB's new Computational Biologist! March 1 The 2019 Maize Genetics Conference schedule and abstract book are now available! February 22 Papers in the volumes of the Stadler Symposia from 1969 - 1983 are now available online! February 5 Information about the 2019 Maize Meeting pre-conference workshops is now available. February 1 Congratulations to Ed Coe for being awarded the Peter H. Raven Lifetime Achievement Award! December 4 Applications for the Disciplinary Breadth financial aid award to attend the 2019 Maize Meeting are now being accepted! The deadline to apply is January 1st, 2019. November 28 Congratulations to Jianming Yu, Dave Jackson, and Rob Ferl for being elected as AAAS fellows! November 20 Maize Meeting registration and abstract submission is now open! The deadline to register and submit an abstract is January 25, 2019. November 15 Applications for the MaGNET and PUI financial aid awards to attend the 2019 Maize Meeting are now being accepted! The deadline for MaGNET applications is December 15th and the deadline for PUI applications is January 1st. November 1 MaizeGDB is hiring a full-time Computational Biologist. The incumbent will conduct research in bioinformatics, develop new computational and analytical methods, and serve as a resource and advisor to the Maize Genetic and Genomic Database (MaizeGDB) project in the area of computational biology. Please visit this link for more information on how to apply. October 24 The 2019 maize meeting website is now available! Registration and abstract submissions for the conference will open at a later date. Stay tuned! August 31 MaizeGDB is hiring! We have a full-time position open for an IT-specialist. We are looking for someone with experience in web development, database administration, and/or system administration. Please visit this link for more information on how to apply. August 8 The CSHL Biological Data Science meeting will be held from November 7-10 2018 and abstracts are due on August 17, 2018. Occurring adjacent to this meeting is the Maize Genome Annotation Jamboree on November 10-11 2018. August 2 Papers for the W22 and Mo17 (from CAU) genomes have now been published! July 24 RNA-Seq tracks from Stelpflug et al. (2015) are now available on our B73 v4 genome browser! July 3 qTeller, a comparative RNA-seq expression platform, is now available at MaizeGDB with multiple expression datasets mapped to B73v4! Eventually, datasets mapped to Mo17, W22, PH207 and more will be incorporated! June 12 A MaizeGDB pedigree viewer is now available! June 5 RNA-Seq tracks from Walley JW et. al (2016) are now available on our B73 v4 genome browser! May 16 SNPs from dbSNP at NCBI that were mapped to B73 are now available on our B73v3 and B73v4 genome browsers! Note that due to the dense nature of these datasets, the SNPs will not load when viewing regions >= 10kbp. March 13 The abstract book and schedule for the 2018 Maize Meeting are now available! December 14 The 2018 Maize Meeting pre-conference workshops are now open for registration! Please register early as space is limited for some of the workshops. November 24 MaGNET applications for the 2018 Maize Genetics Conference are now being accepted. November 23 Registration and abstract submissions for the 2018 Maize Genetics Conference are now open! September 19 On September 7, 2017, Peter A. Peterson passed away at his home in California. Read his obituary here. September 7 MaizeGDB is now redirecting all requests over HTTPS. If you notice something is no longer working please let us know by submitting feedback. August 24 The 2018 Maize Genetics Conference website is now live! June 27 CornCyc 8.0 is now available with the B73 RefGen_v4 gene models. June 13 The B73 RefGen_v4 paper has been published and can be viewed here. As such, whole-genome research on this assembly may now be submitted for publication. May 16 We now display the March 2017 NCBI gene model set for B73_v4 on our genome browser. You can turn on this track under the “select Tracks” tab. We always recommend that you turn on ALL the “gene model” tracks, to get the most complete picture of the gene landscape. March 24 A short course on Operations Research in Plant Breeding will be held in Ames, IA from May 22 - May 26. Details about the event can be found here. March 2 The full program for the 59th Annual Maize Meeting is now available. February 27 The schedule for the 59th Annual Maize Meeting is now available. February 13 The schedules for the workshops prior to the maize meeting have been posted. Early registration to the workshops is strongly recommended. February 7 The EP1 and F7 assembles from TUM are now available at MaizeGDB! Annotations for these assemblies will be released later, but for now you may BLAST them or view their metadata. January 25 MNL 2016 vol 90 submissions that were sent to MaizeNewsletter@missouri.edu may have been lost. Please resend 2016 notes not posted here to schaefferm@missouri.edu. January 25 We welcome new members Fang Bai, Lin Li, Ruben Rellan-Alvarez, Jason Wallace and Philipp Weckwerth to the 2017 MaizeGDB Editorial Board! They will be recommending your Hot New Papers this year. We also thank the 2016 Board Members for their service to the Maize Research Community: Carolyn Rasmussen (served 2 years), Eli Rodgers-Melnick, Yan He, Arnaud Ronceret, Michelle Facette and Andrea Eveland (half year). Thank you for serving! January 23 Congratulations to USDA-ARS researcher Dr. Edward Buckler for being awarded the NAS Prize in Food and Agriculture Sciences! January 19 The deadline for submitting MaGNET applications has been extended to January 25th. Click here to submit an application. January 4 We are saddened by the passing of Dr. Hugh Iltis. Dr. Iltis is associated with teosinte discovery, see also Zea mays spp parviglumis (Iltis & Doebley) and Zea diploperennis (Doebley & Guzman). January 3 This morning we received sad news regarding Dr. Donald S. Robertson's passing. Dr. Robertson was widely known for his work on what's now known as Robertson's Mutator and will be missed by the Maize community. December 8 Congratulations to Dr. Michael Freeling for being awarded the 2017 McClintock Prize for Plant Genetics and Genome Studies. In addition to the McClintock award, the MGEC will be recognizing individuals who have made outstanding contributions with mid-career and early-career awards. Nominations for the three awards are being accepted now. December 8 The PH207 assembly, and a B104 pseudomolecule (beta) assembly is now available at MaizeGDB. Please see the release notes for more information about these assemblies. December 1 Registration for the 2017 Maize Genetics Conference is now open! The deadline to register is January 22, 2017. Please visit the conference website for more information. 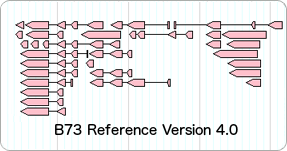 November 3 B73 RefGen_v4 is now available at MaizeGDB. Please see the release notes for more information about this release. Additionally, a tool allowing SNP comparisons between inbred lines called SNPversity is now available for beta testing. October 14 MaGNET applications for the 2017 Maize Genetics Conference are now being accepted. More details about the meeting will be released with the conference website in the coming weeks. September 26 The pre-release beta-version of the maize B104 genome and annotations are now available. This release includes a genome browser and BLAST targets. Please read the release disclaimer here. September 25 Update: An upgrade to Iowa State's network has been completed and MaizeGDB should be fully functional now. If you experience any issues please let us know through the feedback form at the top-right of the page. August 24 A proteomic expression atlas of maize has been published in Walley JW et. al (2016). The full dataset will be available at MaizeGDB on September 6th. June 7 CornCyc 7.0 is released on MaizeGDB. CornCyc was developed by Plant Metabolic Network in collaboration with MaizeGDB. May 12 The Workshop in Cereal Genomics is being held at CSHL from October 19-25. Topics covered include: comparative anatomy, GWAS, Next Gen expression analysis, whole genome sequencing assembly, emerging model systems, genome editing and phenomics. This excellent course is only offered every few years so sign up now. May 9 2nd FSU Chromatin Profiling Workshop, Aug 8-19, 2016. Applications due MAY 23 2016. More info and form at http://goo.gl/forms/ym2ET4WnAr. May 4 The HapMap3 BAM files and genotyping VCF files can now be downloaded from CyVerse! March 31 Gramene presented the new B73 RefGen_v4 at the Maize Meeting in Florida. They are kindly allowing limited access to the "pre-release" version of B73 RefGen_v4 to researchers that agree to abide by the terms set out in their early release statement. Thank you Gramene! March 9 The abstract book for the 58th Annual Maize Meeting is now available. February 26 The schedule for the 58th Annual Maize Meeting is now available. February 16 Going to the Maize Meeting? Workshops are being offered on MaizeGDB, Gramene, and new genome assemblies before the meeting officially starts! Click here for more info and to sign up! January 4 Welcome New MaizeGDB Editorial Board Members: Yan He, Arnaud Ronceret, Andrea Eveland, Eli Rodgers-Melnick, Carolyn Rasmussen and Michelle Facette. We greatly appreciate your service! December 17 A HUGE thank you to all the Members of the Maize Editorial Board for 2015: Michael Gore, Carolyn G Rasmussen, Raffaella Battaglia, Rachel Wang, Weibin Song and Michelle Facette! We greatly value you service! See your gold stars on your MaizeGDB person page! December 4 Congratulations to Dr. Jeffrey D. Palmer for being awarded the 2016 McClintock Prize for Plant Genetics and Genome Studies. In addition to the McClintock award, new this year the MGEC will be recognizing individuals who have made outstanding contributions with mid-career and early-career awards. Nominations for the three awards are being accepted now. December 3 Registration for the 2016 Maize Genetics Conference is now open! The deadline to register is January 29, 2016. Please visit the 2016 Maize Meeting website for more information. November 9 B73 x teosinte NILS are available at the Maize Genetics Cooperation Stock Center. November 5 Diversity trait scores are now available on individual Stock and Trait records. November 4 New links to the Neuffer Guide to Maize Mutant Phenotypes have been added to a number of phenotype records. See adherent tassel for an example. September 11 The Germplasm Enhancement of Maize (GEM) Project will hold its annual Field Day on Tuesday, Sep 22, 2015 from 8:30 to 5 PM CST. August 27 The network update is complete and all services are now fully functional. August 5 An RNA-Seq gene expression atlas of 79 tissues has been added to MaizeGDB. View this expression data on our gene model page or as a track on our genome browser. August 4 MaizeGDB has been updated. See the release notes to find out what's new. July 9 A Pan Genome Sequence Anchors track from Lu et. al. (2015) has been added to our genome browser. Click here to view the track. July 7 MaizeGDB has been updated! Read the release notes to find out what's new. June 24 MaizeGDB has recently had some issues with our annotation account creation form. If you have recently been unsuccessful in creating an account please try again. Please contact us if you have any questions. June 23 CornCyc 6.0 is released on MaizeGDB. CornCyc was developed by Plant Metabolic Network in collaboration with MaizeGDB. June 3 Ian Sussex passed away on May 10, 2015 at age 88. He was considered one of the most influential plant developmental biologists of the 20th century, and he was a kind person. Read more here. May 6 The book 'Maize for Biological Research' by Dr. Bill Sheridan (1982) is now available in PDF format on our classical reads page. The book was initially published by the Plant Molecular Biology Association (PMBA), and converted to PDF by WF Sheridan, CTE Yeh, and PS Schnable. April 29 Congratulations to Joachim Messing on being elected to the National Academy of Sciences. April 7 MaizeGDB's interface has been updated! Read the release notes to find out what's new. March 2 Going to the Maize Meeting? To learn more about our new website, come to the MaizeGDB tutorials from 4 to 6 pm on Thursday right before the meeting officially starts! Click here for more info and to sign up! February 27 Maize meeting abstract book and schedule is now available. February 26 The redesigned MaizeGDB has been formally released! Click here to see the release notes. February 23 The MaizeGDB interface redesign will go live on Thursday, February 26th. For a short time we will still host the old interface at http://archive.maizegdb.org/. Please leave feedback if you have any questions or comments on the new interface. February 23 The USDA ARS announces a job opening for a Computational Biologist to direct the research team at MaizeGDB. Details available here. February 5 The USDA ARS announces a job opening for a Computational Biologist to direct the research team at MaizeGDB. Details available at https://www.usajobs.gov/GetJob/ViewDetails/393297700. December 22 CornCyc 5.0 is released on MaizeGDB. CornCyc 5.0 is based on B73 RefGen_v3 and developed by Plant Metabolic Network in collaboration with MaizeGDB. December 15 Just in - MNL note by Lanzanova C et al on Italy-Canada collaboration on Fusarium resistance in maize. December 5 The first beta release of the redesigned MaizeGDB has been completed! Click here to see the release notes. November 14 Nov 14: The Maize Genetics Executive Committee announced that the winner of the 2015 McClintock Prize for Plant Genetics and Genome Studies is Prof. Susan Wessler of the University of California at Riverside. September 2 The September release of the alpha site has been completed. Click here to see the release notes. September 1 Guide to Mutants of Maize by Neuffer et al 2014 released at MaizeGDB. Aug 5 The UniformMu track in the MaizeGDB Genome Browser now contains more insertions (Release 6). Related loci, variations, and stocks have been added to MaizeGDB. June 27 The June release of the alpha site has been completed. Click here to see the release notes. May 23 Listen to Jack Gardiner's latest podcast with the National Corn Growers Association on the topic of shoot apical meristem (SAM). View full story here. May 14 Contribute your design to the McClintock Prize medal design competition! Entries are due by July 1. May 12 MNL News: zebra7, luteus17 are allelic to lemon white1 (Stinard and Sachs). April 29 Congratulations to Ed Buckler and Scott Poethig on being elected to the National Academy of Sciences. April 16 Congratulations to Brent Buckner who has won the ASPB Excellence in Education Award. Click here for additional details. April 10 Wilbert Russell passed away on Sunday, April 6. Included among his many accomplishments was the development of the B73 inbred line. Link to a full obituary. March 31 View results of the 2014 MGEC community survey here . March 28 Congratulations to Jim Birchler who was recently awarded an Einstein Professorship by the Chinese Academy of Sciences. Jim received the award in a ceremony at the Academy's Institute of Genetics and Developmental Biology in Beijing on March 18. Click here for more details. March 3 Maize meeting schedule and abstract book are now available. January 29 In collaboration with the Maize Proteome Project at UC San Diego, the maize complete proteome for eight seed tissues can be viewed as a track on the MaizeGDB Genome Browser. January 7 In collaboration with Gramene , MaizeCyc 2.2 was released at MaizeGDB . December 19 The First International Setaria Genetics Conference will be held on March 10-12, 2014 in Beijing,China prior to the Maize Meeting. Announcement letter. December 3 There has been technical issues with the hotel registration website for the Maize Meeting. Please check back on Thursday, December 5th. November 27 Due to the holiday weekend, abstract submission for MM2014 has been extended to Monday, December 2nd. October 17 Good news! We are back in business. September 11 Sarah Hake has been inducted into the ARS Science Hall of Fame. More information. September 5 Speakers are needed for the 2013 jointly organized meeting by the International Sweet Corn Development Association (ISCDA) and the Corn Breeding Research (CBR - NCCC167). Click here for more information. August 14 Gramene released MaizeCyc 2.1 in collaboration with MaizeGDB. Here are the links: MaizeCyc 2.1 at Gramene, MaizeCyc 2.1 at MaizeGDB. July 3 Illumina MaizeSNP50 SNPs are now viewable on our Genome Browser. These include 28,000 genetically mapped SNPs. June 19 Plant Metabolic Network released CornCyc 3.0 in collaboration with MaizeGDB. Here are the links: CornCyc 3.0 at PMN, CornCyc 3.0 at MaizeGDB. June 4 The B73 RefGen_v3 assembly is now available on the MaizeGDB Genome Browser and at Ensembl Plants. Currently, this is a bare assembly with no other tracks. Structural annotations (gene models) are anticipated to become available within 4 weeks (pending GenBank approval). Other genome annotations (e.g., transposon insertions, SNPs, and expression glyphs) will become available as tracks on the genome browser starting later this month. Cooperators who have contributed data for display within the MaizeGDB Genome Browser are encouraged contact us via feedback links to determine how best to project from RefGen_v2 onto v3 or realign data to the new assembly. May 22 Important: MaizeGDB will have a scheduled hardware maintenance on Tuesday, May 28 starting at 7:30 AM CST, work should be completed by the end of the day. Services that will be unavailable include: BLAST, Metabolic Pathway Tools, and sequence data. March 4 Maize meeting schedule and abstract book are now available. January 25 There is a great profile of Dr. Jim Birchler in the January 23 issue of the Proceedings of the National Academy of Sciences. January 18 The 2013 ASPB-Pioneer Hi-Bred Graduate Student Fellowship competition is now accepting applications. January 14 The MaGNET awards, providing full support for travel to the 2013 Maize Genetics Conference, are still being accepted. The deadline has been extended to January 20. December 7 Maize Meeting registration, abstract submission, and lodging reservation links are now available! November 28 Congratulations Vicki Chandler! The Genetics Society of America extends its congratulations to the six new members elected by the membership to the 2013 GSA Board of Directors including Vicki Chandler, PhD (Gordon and Betty Moore Foundation). She will serve as vice president in 2013 and GSA president in 2014. November 16 Applications are being accepted for the MaGNET awards, aimed at increasing diversity in the maize research community via supporting travel to the Maize Genetics Conference. November 1 The NEW MaizeGDB is almost here and we want to hear your opinion before we go live! All maize researchers are encouraged to participate. This is your chance to make your voice heard! Interested? Click here and sign up by November 9th. 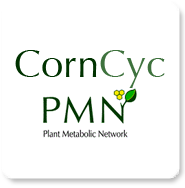 August 31 Plant Metabolic Network released CornCyc 2.0 in collaboration with MaizeGDB. August 6 Have you noticed the Expression Analysis Data Center? See the link from the front page in the lower left green margin. July 20 Check out the gene model pages! They now have ortholog information, functional annotations, and expression displays available. Example: GRMZM2G442658 (AKA adh1). June 14 Maize HapMapV2. A recent publication by a team led by ARS scientist Doreen Ware in collaboration with ARS colleagues Ed Buckler, Peter Bradbury, Jim Holland and Michael McMullen, examined the genetic structure and the relationships and sequential ordering of individual genes in more than 100 varieties of wild and domesticated corn. June 12 Ed Buckler is named "Distinguished Senior Research Scientist of 2011" by USDA-ARS. Full announcement is here. May 22 Click here to learn about the status of RefGen_v3. March 28 View results of the 2012 MGEC community survey here. March 3 Maize meeting schedule and abstract book are now available. Last minute poster abstracts are being accepted until March 12th. February 15 GBrowse2 with cM estimates is now available at the MaizeGDB Genome Browser. February 8 The 2012 NCCC167 Corn Breeding Meeting is March 14 - 15 prior to the Maize Meeting at the Doubletree Hotel, Portland, Oregon. For more information click here. January 30 Applications are being accepted for the new MaGNET awards, aimed at increasing diversity in the maize research community via supporting travel to the MGC. January 28 The 2012 ASPB-Pioneer Hi-Bred Graduate Student Fellowship competition is now accepting applications. January 6 Links for conference registration, hotel reservation and abstract submission for the MGC are now available! January 6 MaizeGDB is offering hour long "How to" tutorials immediately before the Maize Meeting at 3:00, 4:00 and 5:00pm on Thursday, March 15, 2012. Sign up and learn more! August 4 Read the tribute to retired Russian Maize Meiosis Geneticist Inna Golubovskaya in the July issue of Genetics! July 21 In collaboration with Gramene, MaizeGDB released MaizeCyc v2.0 (official release). You can reach it through the "Pathways" link on the left page. May 4 Jim Birchler elected to National Academy of Sciences.Congrats, Jim! March 23 Reconstructed chromosomes from the maize tetraploidy event from J.Schnable and M.Freeling (Reference) available via the Genome Browser. March 22 Looking to align many sequences to B73 RefGen_v2 and deploy tracks in the MaizeGDB Genome Browser? Try ZeAlign! March 5 The 2011 Maize Meeting Program is now available on the Maize Meeting page or directly here. March 2 Agilent microarray probes from the Walbot Lab available via the Genome Browser. February 22 The Genome Browser B73 RefGen_v2 track has been updated to show more detail. February 16 Brutnell group extension data available via the Genome Browser.Turn on additional tracks (bottom of browser) to see all tracks. February 8 The B73 RefGen_v2 Filtered Gene Set (FGS) is now available in the Genome Browser.The "B73 Gene Models" track shows FGS in green, other models in yellow. December 7 We are pleased to announce the release of the MaizeCyc database. Developed by the comparative genomics database Gramene and the maize model organism database MaizeGDB in collaboration with the Maize Genome Sequencing Project, MaizeCyc is a catalog of known and/or predicted metabolic and transport pathways from Maize (Zea mays mays). November 24 The B73 RefGen_v2 gene models (as part of Release 5a.59) are now on our genome browser in collaboration with MaizeSequence.org! Also, please visit our brand new gene model pages. The default view on our genome browser will be the B73 RefGen_v2 as of today. November 21 It is with great sorrow that we share the loss of Janet Day Jackson, who many know from her work at the Maize Genetics Cooperation - Stock Center. Her obituary is available here. November 16 Read the MGEC report on the September 8, 2010 NSF meeting to discuss the concerns of and opportunities for the maize genetics community. November 8 A maize disease genetics workshop will be held in Raleigh Feb 20-23 2011, see http://www.pngg.org/maize/. The workshop is designed to promote collaboration amongst scientists in the academic, government and private sectors in the area of the genetics of corn disease control and pathogenesis. Registration and abstract submission are open right now. The abstract submission deadline is Dec 1. December 8 The Maize Genome Papers are out! Read them in the November 20, 2009 issue of Science and the November issue of PLoS Genetics. November 12 The MaizeGDB Genome Browser now serves the maize pseudomolecules (B73 RefGen_v1) and tracks mapped to B73 RefGen_v1! Users can still reach BAC-based browser from here. Interlinks are also provided between the BAC-based and pseudomolecule views. July 1 View the "B73 Genome Caveats" movie on our outreach and tutorial page. June 15 Mo17 SNPs and indels generated and mapped to B73 by JGI are now available as a track at the MaizeGDB Genome Browser. May 29 PLEXdb Microarray Probes track is now available at the MaizeGDB Genome Browser. December 23 Maize Meeting registration, abstract submission, and lodging reservation links are now available! December 4 The MaizeGDB Genome Browser is now available! November 6 Ceres just deposited over 500,000 maize cDNAs in GenBank! October 24 We have established our guidance group members and beta testers for our Genome Browser. We would like to thank them very much for their work. December 28 Maize Meeting conference and hotel registration will only remain open until January 9! Click here to register. November 29 The Maize Genome Sequencing Consortium's recently released status report and ppt presentations are now available. November 14 The History Channel's production "MODERN MARVELS: CORN" gives a good overview of what happens to corn after it has been harvested (e.g., processing into ethanol, high fructose corn syrup and bio-plastics). This show is scheduled to be broadcast in some markets next Monday (Nov 19th) at 8 PM, but check your local listings. October 3 We've created a new centralized Data Center for all those hard-to-find cytogenetics resources! December 13 Details on the 2007 Maize Genetics Conference are now available. November 20 Please read this announcement about new sorghum genome sequencing resources and opportunities. November 7 The Maize Genome Sequence Browser has been released! Visit it at maizesequence.org! September 12 Maize TILLING data are here! Find out about the maize TILLING project and browse through the list of TILLed sites. December 21 The 2006 Maize Genetics Conference is coming! You can find out more information, register for the meeting, sign up for housing, and submit an abstract. November 23 The NSF, USDA, and DOE have announced the latest maize genome funding award. More details here and here. September 13 We've recently added several new maps and map reports, including the recombination nodule map! Check them out! May 5 US postage stamps have been issued honoring a quartet of top scientists, including Barbara McClintock! December 14 The 2005 Maize Meeting is just around the corner! You can register for the conference itself and for lodging, or submit a conference abstract! The deadline is January 20, 2005! September 15 The National Plant Genome Initiative (NPGI) is soliciting requests for maize genome sequencing projects! MaizeGDB also now has a maize genome sequencing information center, including a number of relevant documents. July 21 We are starting a page for pictures of maize research labs! Please send us a URL of your group's picture and we'll add it to our page! December 2 Visit the new Cytogenetic FISH 9 map and related chromosome images! November 12 Please read this letter to the maize community concerning maize microarray resources. November 10 Students! Learn more about how you can attend the Maize Genetics, Genomics, and Bioinformatics Workshop to be held before the Maize Meeting this year! October 7 Please read this important announcement concerning the establishment of the U.S. Rice Genomics Resources Center. December 30 MaizeGDB is looking for a biological analyst. If you are interested in this postdoctoral position, please read the details of the position and let us know! December 20 A new tool has been developed that allows you to visually navigate through the maize genome. Try out MaizeGDB's bin viewer tool, and suggest to us some useful places to provide the visual chromosome views. December 13 We're now officially known as MaizeGDB! The official URL is http://www.maizegdb.org... update your bookmarks! December 11 The image browser tool has been significantly improved, adding browsing through phenotypes, pest species, and traits in addition to mutants, and adding the ability to filter the images.